Petula Sally Olwen Clark was born in 1932 in Epsom, Surrey. Her unusual name Petula was said to be a combination of two of her father’s old girl friends. A brave move. Petula was trained to sing by her mother and made her radio debut in 1942 during an air raid in the BBC studios. She proved an instant success and soon established herself as radio favourite then film star. Britain’s Shirley Temple became the mascot to the RAF and interestingly the United States Army. Her pictures adorned their tanks and were regarded as a good luck charm. During the War years Petula became friendly with another child star called Julie Andrews. By the late 1940s, Petula branched into recording and her first effort, a cover of Teresa Brewer’s “Music! Music! Music!” was released in Australia. Her father took control of her singing career and she scored her first hit with “The Little Shoemaker” (1954). In the same year she starred in a stage production of The Constant Nymph. She was keen to re-establish herself away from the child star image. She was invited to appear in Paris in 1958 and met he husband Claude Woolfe. They were married in 1961 and Petula relocated her home base to France. She became an international celebrity with hits across the continent. In 1961 she sold over a million copies of "Romeo," and "Sailor" became her first #1 hit in the UK in the same year. When the twist craze broke in the US , Petula saw her chance and brought out "Ya-Ya Twist," (a cover of the Lee Dorsey rhythm and blues song) and it became a major hit in Europe. By the mid sixties Petula Clark linked up with Tony Hatch to record 'Downtown' (a song originally written for the Drifters) which rocketed to number 1 in the USA. "Downtown" was a huge success in the UK, France (in both English and French versions), Netherlands, Germany, Australia, Italy, and even Rhodesia and India. Petula now was popular in North America and her pop partnership with Tony Hatch give her another fourteen consecutive Top 40 hits in the US. The hits included "I Know a Place" (1965), "I Couldn't Live Without Your Love" (1966) and "This Is My Song," (1967). 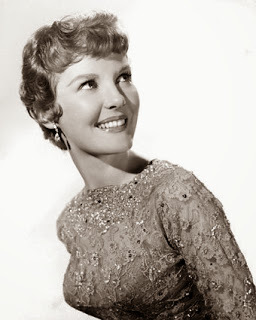 As the decade drew to a close, Petula Clark's commercial stature slipped, although singles like "Don't Sleep on the Subway," "The Other Man's Grass Is Always Greener" and "Kiss Me Goodbye" still charted on both sides of the Atlantic. An older and wiser Petula took every opportunity to diversify and starred in musicals as well as TV special . In 1968 she revived her film career and starred in Finian's Rainbow, followed a year later by Goodbye, Mr. Chips. By the mid-1970s, she scaled back her career in order to devote more time to her family. In the 1980s she found fame as a country recording star, with her top ten hit, 'Natural Love', before reinventing herself as a highly successful stage star in London's West End. In 1981 she starred in the London revival of Rodgers and Hammerstein's The Sound of Music, she played Maria von Trapp. In 1983, she took on the title role in George Bernard Shaw's Candida. Later stage work included Someone Like You in 1989 and 1990, for which she composed the score. In 2004, she toured Australia and New Zealand.